For decades, we in the Technology Sector have referred to our path to the market as a channel. As a result, we have Channel Strategies, Channel Programs, Channel Account Managers, Channel Incentives, etc. 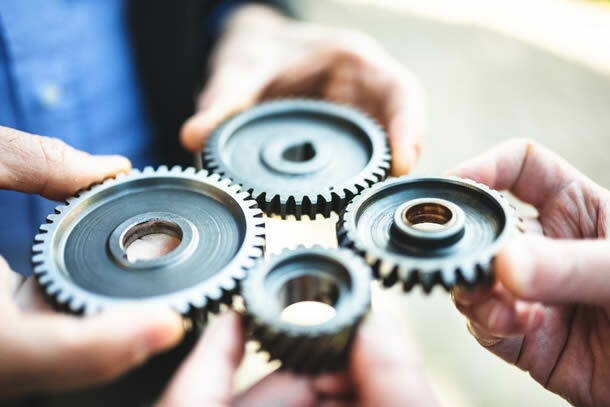 In the process, the scope of delivering solutions to businesses of all sizes and types has broadened to include much more than IT Infrastructure components: networks, servers, storage, printers and workstations. Our technology "route to market" needs to be re-evaluated to recognize these changes and a refreshed technology solution delivery model developed. This route is changing from a one direction flow of vendor products and services to a bi-directional flow reflecting the increased importance of delivering to client solution needs by leveraging multi-vendor capabilities and Solution Provider integration services. In other words, the model has transitioned from product buy-sell to coordinated partner services aggregation, integration and delivery. Technology consumers are more knowledgeable today than ever, with easy access to product information and buyer ratings. The power in technology buying has shifted from the vendor to the consumer and its trusted representative, the Solution Provider. Because of the vendor community's failure to recognize this power shift, traditional vendor-channel relations are deteriorating. CompTIA reports, in their 2017 industry that only 39% of Solution Providers are very satisfied with their vendors. A third of solution providers are exploring other vendors to work with. As an indicator, how many vendors have a compelling partner value proposition, or design partner experiences or proactively measure partner satisfaction? Our recommendation to the vendor community is to transition to a partner orientation. To take "channel" out of their vocabulary and insert the word "partner." Referencing Webster again, the definition of partner is "one that shares." With this shift, vendors and their partners look at the market opportunity through the same lens, sharing ideas, resources and financials. Titles become Partner Network, Distributor Partner, Solution Partner and Partner Success Manager. Listen to solution partners and accept suggestions regarding new offerings. Share resources to include co-investing in opportunities. Develop comprehensive plans with partners to include commitments which show a grasp of the partner's business. Have fewer partners with deeper relationships. Correspondingly, partners need to take advantage of this new-found influence. The Solution Provider is the orchestra conductor, understanding the end client's needs, today and in the near future. The influential power is derived from knowing the end customer's business and its business drivers. This same power is strengthened when the Solution Provider implements a joint planning process with each of its clients. The planning process will undoubtedly uncover new Solution Provider opportunity that leverages its capabilities to onboard new technology and application services. To be prepared for these opportunities, the Solution Provider should expand their family of suppliers, beyond the traditional IT vendors and to specialized business services providers. 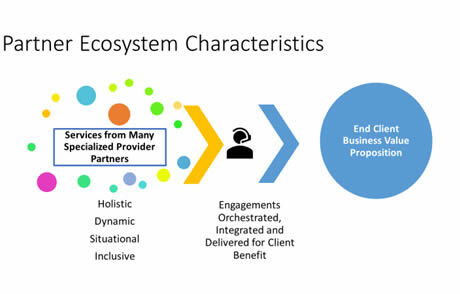 Call it the Partner Ecosystem. Vendors used to actively recruit Solution Providers. In the partner centric/customer-centric world, the Solution Provider needs to recruit the right vendor partner suppliers for their clients. Years ago, a friend of mine accepted a position as VP, Information Systems, for a very large fast food company. He had experience as an IT Applications and IT Operations Director in the restaurant industry, so the career move was a logical one. He was, however, new to this company. His first two weeks were spent in a store, 1,000 miles away from HQ, cooking tacos, taking orders and cleaning rest rooms. He walked in the shoes of his "soon-to-be" information consumers, in the shoes of his partners. Sounds like a good first step for vendors to emulate, to have their Partner Success Managers (PSMs) walk in the shoes of a Solution Partner. This 'in your shoes" approach is also a good way for Solution Providers to know its clients' businesses. 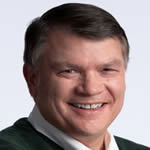 Bob O'Malley, Partner, AchieveUnite, has over 35 years of experience in the information technology industry. O'Malley has led manufacturers, developers, distributors and integrators as CEO, General Manager and other senior executive positions. He specializes in the development of IT-oriented channels of sales, support and distribution. O'Malley held numerous executive roles at IBM as well as CEO of Immersion, Pinacor and SED, and as President of Intermec Technologies and MicroAge. He also served as Chairman of the Board of CompTIA, the leading IT industry association.